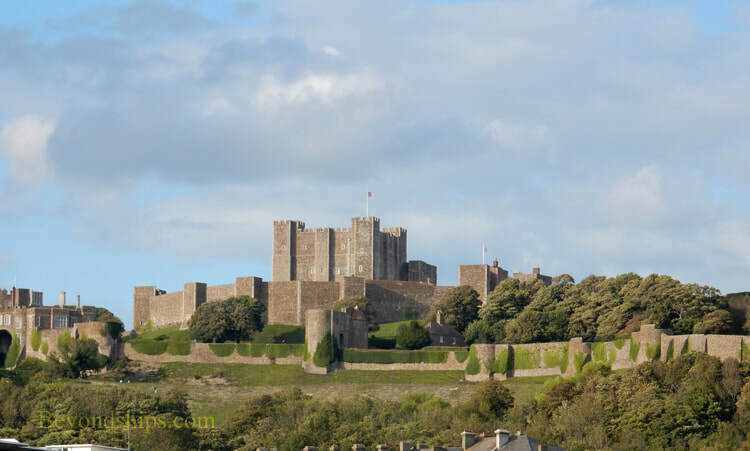 Dover Castle sits majestically above the city of Dover atop the White Cliffs at a point that is the closest distance to continental Europe in England. 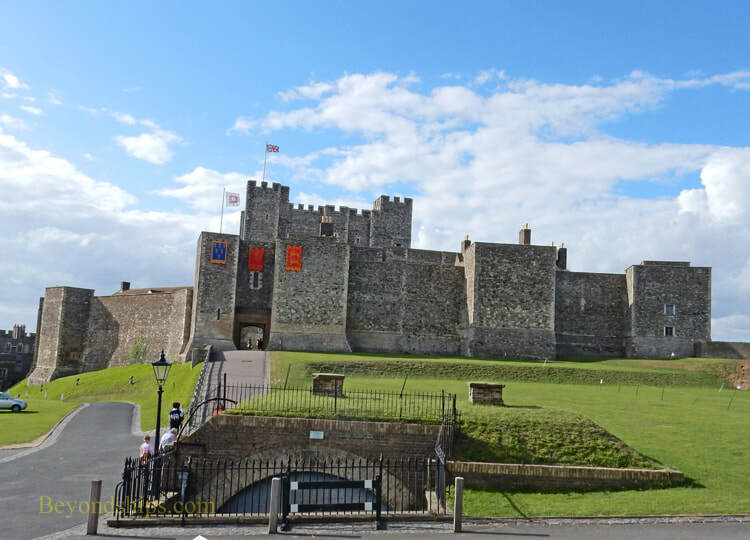 Because of its strategic position, Dover Castle has been called the “Key to England.” Not surprisingly, it is the largest castle in England. The Castle has much to offer visitors. It is situated in an area of natural beauty and the castle itself contains a large amount of green space. It offers impressive views over the city, along the cliffs and out to sea. It has a history that ranges from Roman times to the modern era. Archaeological evidence suggests that there was Iron Age activity in the area where the castle now stands and it has been suggested the first fortification on this site may have been an Iron Age hill fort. Because the site towers over the harbor and the sea coast, the Romans built a lighthouse here in the 1st century. During the Dark Ages, the Saxons fortified the area to defend against the Vikings. 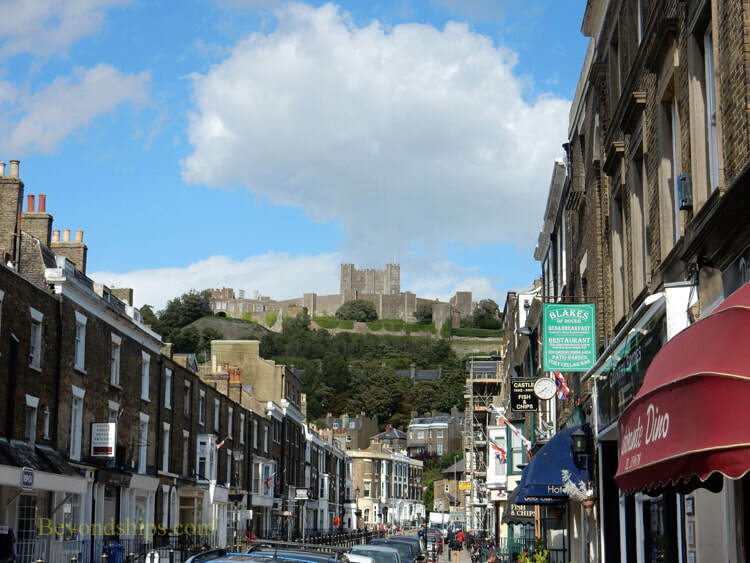 Shortly after the Battle of Hastings in 1066, William the Conqueror came to Dover to confront a large force gathered there. His opponents surrendered without a battle and William took possession. He strengthened the fortifications with an earthwork and timber castle. The present castle was begun in 1180 by King Henry II. The medieval design featured a great tower in the center surrounded by two concentric stone walls. There were towers and gates on the walls. 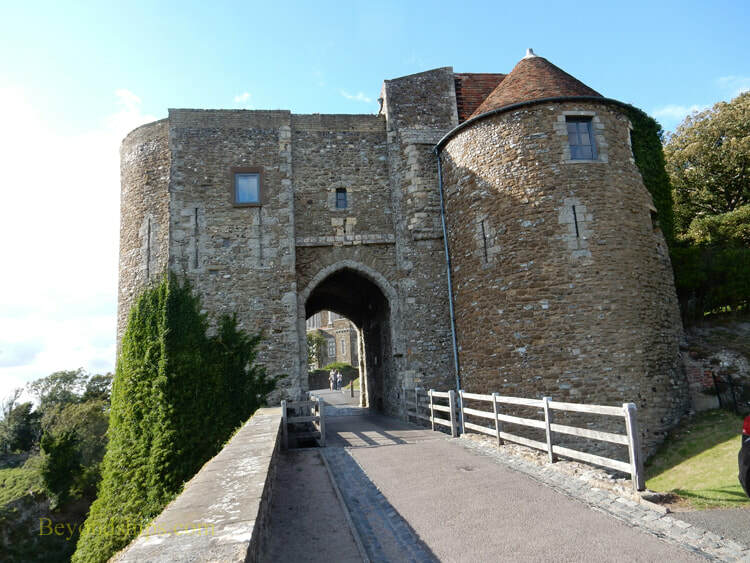 Although two French sieges in the early 13th century were unsuccessful, King John added three gatehouses and a fortified spur to the castle. With these the castle took on much of the layout that we see today. Nonetheless, over the centuries as the technology of warfare changed, the castle continued to evolve. 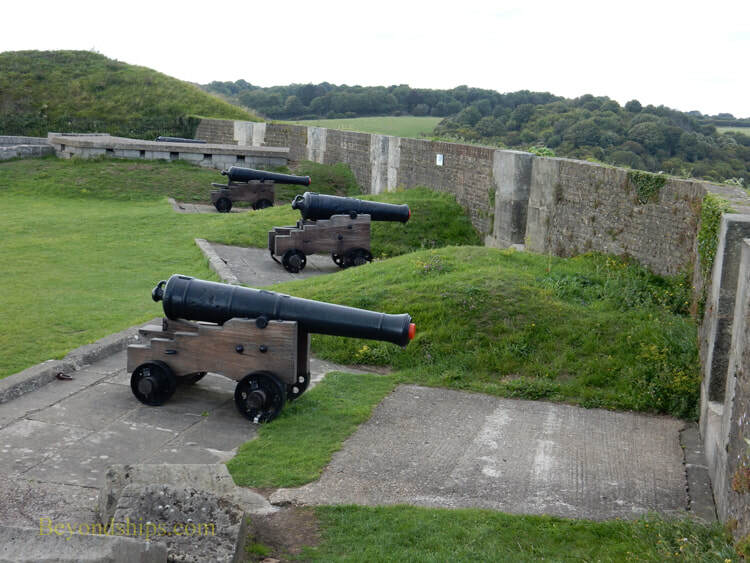 Around 1750, ramparts for canons were built onto the walls. During the Napoleonic era when there was a real threat of invasion, tunnels were dug under the castle to house troops. Further defenses and additional buildings were constructed subsequently. The Castle remained an important military installation until 1958. In fact, during the Cold War, facilities for an emergency seat of government were constructed in case of an atomic attack. Above: Peverall's Gate began as a defensive bastion in the 13th century, it was later a prison and still later a residence for married soldiers. ​Below: A Napoleonic era battery. ​The medieval heart of Dover Castle is the Great Tower. Designed by Maurice the Engineer, it was built by King Henry II who ruled not only England but large parts of France and Ireland. He was the most powerful monarch in Europe. Henry was the one who quarreled with Thomas a Becket. His wife was Eleanor of Aquitaine and his sons included the future King Richard the Lionheart and King John. The movie “Lion In Winter” depicts their troubled relationship. Surrounded by strong defense, the Great Tower served as a medieval palace for Henry and his court. A stone structure, the tower is rectangular. Its lower floor contains the kitchen and servants area. On the next floor is the great hall with the throne as well as the room where the king slept. At the top, there are panoramic views of the surrounding countryside. English Heritage has sought to bring this structure alive. In addition to recreations of the décor. Furnishings and intimate objects, recordings are played in which actors dramatize the history of the tower, On certain days, there are live actors dressed in period costumes who interact with visitors.